Sunrise this morning at the ComradesMarathon. Runners at 45th Cutting. Durban heading up to Pietermaritzburg, KwaZulu-Natal. “The Comrades Marathon is an ultramarathon of approximately 89 km (approx. 56 miles) which is run annually in the KwaZulu-Natal Province of South Africa between the cities of Durban and Pietermaritzburg. It is the world’s largest and oldest ultramarathon race[verification needed]. 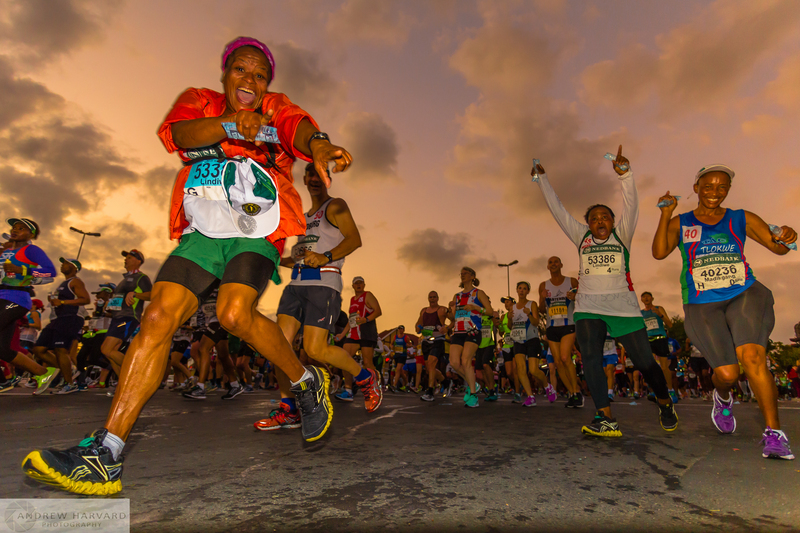 The direction of the race alternates each year between the “up” run (87 km) starting from Durban and the “down” run (89 km) starting from Pietermaritzburg. The field is capped at 23,000 runners, and entrants hail from more than 60 countries. In every event since 1988, over 10,000 runners have reached the finish within the allowed 11 or 12 hours. With increased participation since the 1980s, the average finish times for both genders, and the average age of finishers have increased substantially.